Abuja was lit up as Fada Sheyin‘s Praise Trybe Concert 2017: the 2017 Invasion, took over the city with Evelyn’s Event Centre, Gwarinpa as the base on the 21st of May, 2017. 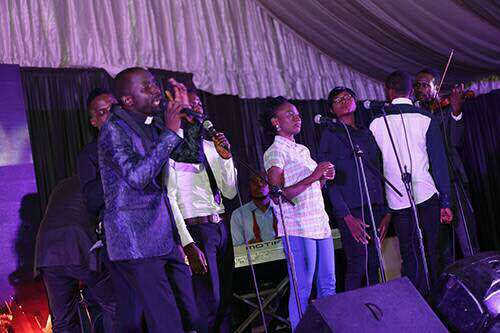 A host of Gospel music heavyweight including Frank Edwards, Chris Morgan, Samsong and more joined Fada Sheyin on stage to evoke the glory of God. 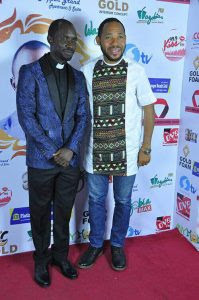 Also in attendance was award winning maestro Wole Oni, Steve Willis and Fada Sheyin’s colleagues – dignitaries of the catholic priesthood. Comedy gurus such as Osama, Ambassador Wahala, MC Bob, C-Ri Snow, Sam & Song and more kept the audience entertained with rib cracking jokes. Music was supplied by the dexterious DJ Ernesty. Some of the highlights of the event include the presentation of the N200,000 cash prize to the winner of the Fada Sheyin’s Abuja Praise Trybe Concert 2017 Instagram contest, Melodia. Also, the live ministration of Fada Sheyin’s new single which will be out soon. 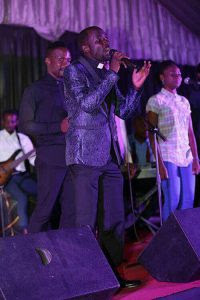 Frank Edwards and Samsong’s ministrations were equally notable experiences as well.